Wake up each day and there is that need to put something in your stomach. In three years travelling/living in the Americas I filled up on all of the below and much, much more. I probably ate on the streets too much and am sure that I picked up a range of unwanted gut flora. Not a definitive account nor a detailed guide, just one food per letter A-K. For many of the letters there are other foods that I almost chose instead. I’d be interested to hear what you would put in your A-K list. L-Z coming soon! 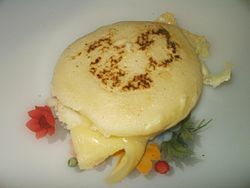 Arepa: A Venezuelan staple usually made with cornmeal. It is effectively a variation on bread as the round patty is usually split and then filled with any of a number of ingredients such as cheese, chicken, pork and beans. Pair with: a cold can of malta. 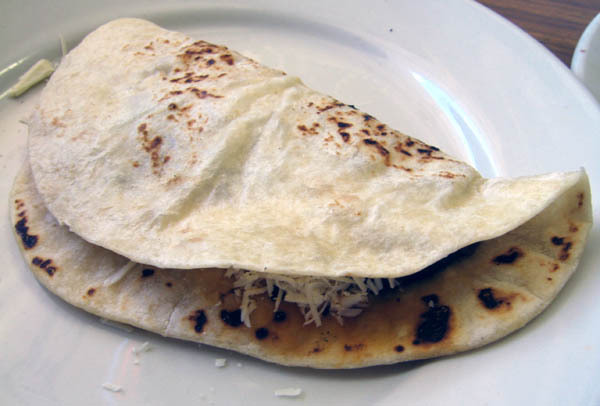 Baleada: If you go to Honduras you will surely encounter the ubiquitous baleada. At its most basic it is a folded tortilla stuffed with beans, cream and cheese but can contain a variety of other fillings such as chicken, egg and chorizo if you upgrade to special or super special level. Great to eat at a street side stall. Pair with: a Honduran beer such as Salva Vida or Imperial. Cuy: Eating guinea pig is probably not on your ‘to do’ list but it is considered a specialty in Peru, Colombia and Ecuador. I found the meat tasty enough – grilled over hot coals. However, there were too many bones to really make a decent meal out of it. I tried it in Cuenca, Ecuador. Pair with: it’s a beer food I reckon. Pilsener and Club are probably the two most readily available. 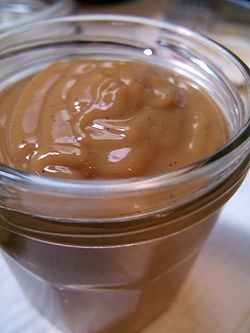 Dulce de Leche: ‘Candy of milk’. Too sweet, for me, on its own but not for millions of South Americans. Basically it is the caramelization resulting from heating milk with sugar. Popular with bread, as a topping and used to fill the common sweet alfajor. Also known as manjar in Chile and cajeta in Mexico. Pair with: a tall glass of milk! 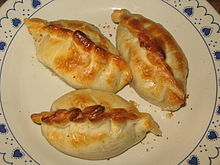 Empanadas: Found all over the region but especially popular in Argentina and Chile. Pastry stuffed with….whatever. Empanadas de horno (oven-baked) and empanadas fritas (fried) is a basic step of classification but beyond that the classes proliferate. A personal favourite are the empanadas de pino from Chile – oven baked with beef, onion, olives, egg and raisins! Pair with: a Chilean red. Feijão: A typical Brazilian meal can surely not be complete without a substantial serving of feijao. 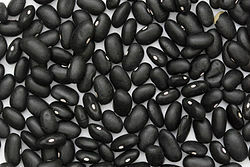 The variety I ate most was the black turtle bean or feijão preto. Undoubtedly filling, I also found them addictive. I wasn’t in Brazil long before I started to get cravings for a daily feijão hit. Pair with: an ice cold can of Guaraná Antarctica. Gallo Pinto: More beans! This time mixed with rice. Gallo Pinto is the Nicaraguan and Costa Rican term meaning ‘speckled rooster’. In other parts known as ‘moros y cristianos’ (moors and christians) or ‘casamiento’ (marriage). This combination provides the essential calories for millions of people in Central America and the Caribbean every day. Pair with: agua de jamaica (hibiscus tea) – very refreshing on a hot Central American day. 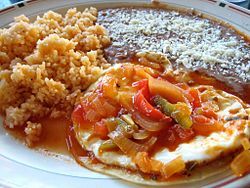 Huevos Rancheros: Probably doesn’t need to much of an introduction – ranch style eggs. Fried eggs, Check. Tortillas. Check. Frijoles. Check. Spicy salsa. Check. There you have it. Variations abound. Popular through Mexico and beyond. Pair with: Instant Nescafe coffee. What else? Iguana: I spent a while trying to think of a Latin American food starting with ‘i’ but eventually had to give up and google it. I typed in ‘comida que empieza’ and ‘con i’ came up as the first option. I found out that there are in fact very few foods starting with ‘i’ in Spanish. I followed a thread through and saw iguana. It took me back to small town Nicaragua where I shared a whole grilled iguana (called garrobo) with a friend. It wasn’t too bad! Certainly not as bad as the experience chef Anthony Bourdain had with iguana tamales in the Mexican state of Oaxaca. Pair with: Probably something strong, Let’s say aguardiente. Or whatever helps you to wash it down. Jalapeño: Where would Mexican cuisine be without jalapeño? 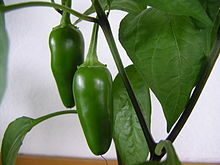 Well, actually there are so many chile varieties available that I am sure that innovative Mexicans would get by. Still, a great way to add heat to salsas. Pair with: Not sure here. Fight fire with fire? Kola Real: K is not a very common letter in Spanish and I have struggled to come up with a food that starts with it. After all the other food though, I think it’s about time we washed it down with a Peruvian sugary soft drink so raise your glass, clink away and throw some Kola Real down the hatch! Salud! Hopefully will get a chance sometime this week. Es muy interesante la manera en que explica cada uno de los alimentos, ademas de que es afortunado de poder conocer lugares de suma importancia y que mejor manera de representarlos que dando a conocer su gastronomía o parte representativa de ella. Aunque por mi parte México es único y rico en su cocina como lo menciona usted Oaxaca es simbolo de tradición y rica en comida prehispanica; pero como en todo lugar cada platillo tiene su esencia y eso lo hace representativo. Sigue incrementando la lista de ingredientes mexicanos, es un orgullo pertenecer a esta tierra tan rica de sabores y olores, sin embargo es importante seguir conservando las tradiciones y técnicas culinarias para la preparación de estos platillos. This is great. I had the same reaction to cuy – a lot of fuss to prepare, not much substance. Thanks for the comment Scott. Yes, you’re spot on. I think I would need two or three to myself to fill up!